Move and manage money on-the-go with the PayPal or PayPal Business app. Whether you’re buying or selling, our apps make it easy for you to stay on top of your account wherever you are. Send money to, and request it from, friends and family in seconds with the new PayPal app. You can link your mobile contacts to make it easier and even ask Siri to send money for you. If your friends don't have PayPal, we'll help them create an account to access any money you send them. Stay on top of your account activity with the PayPal Business app. Transfer funds, view transaction details, issue refunds and check your account balance, it’s all at your fingertips. Create and send invoices in just a few taps so customers can pay you right away. 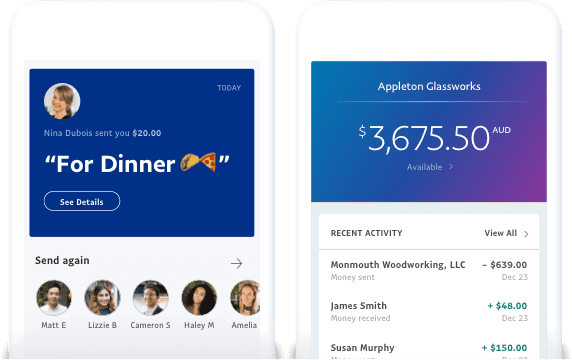 See the PayPal app in action. Keep track of your money with an app. Keep track of your sent and received payments and find related transactions. Contact payment recipients and customers directly from your mobile. Withdraw payments you receive to your linked bank account. PayPal Here app and card reader. Want to accept credit and debit cards on your mobile? 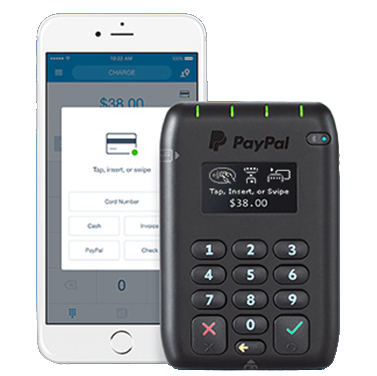 Link a PayPal Here card reader with your mobile for quick and easy in-person payments.